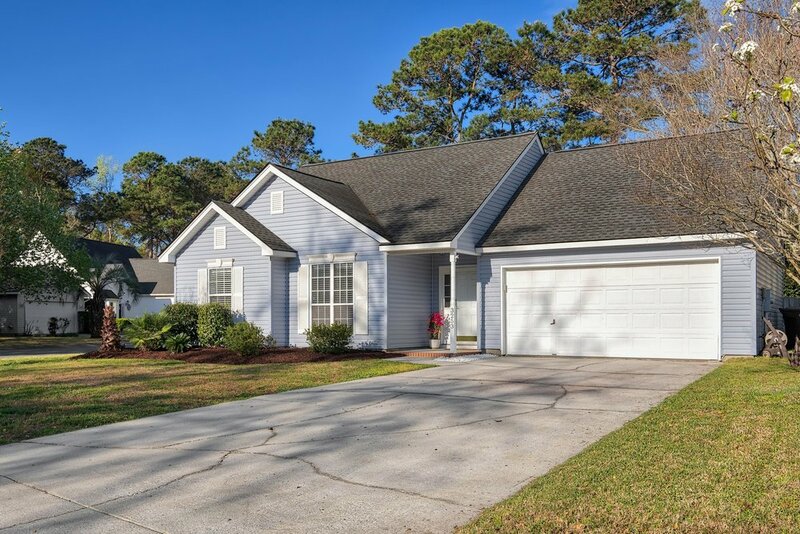 Charming, move-in-ready Ivy Hall home with recent updates! Hardwood floors throughout take you from large living space with vaulted ceiling and fireplace into breakfast area and updated kitchen. Kitchen includes stainless appliances, marble countertops, subway tile backsplash, and floating shelves. Master bedroom offers walk-in closet with renovated ensuite bath. Two guest rooms share hall bath. Enjoy the Charleston weather all year on the large back deck with pergola. Beautiful back yard with mature landscaping. Ivy Hall offers playground and access with Laurel Hill County Park. Walk to Starbucks and Oakland Shopping Center. Welcome to 3253 Scranton Drive!